I’ve said it before, I’ll say it again; I love brunch. You’ll notice I don’t have any breakfast or lunch categories on this site, and that’s simply because both of those meals don’t stand a chance against brunch. It’s in a league of its own. Here’s a great, easy and elegant idea that’s perfect for a girl’s brunch in and is as healthy as it is delicious. Did I mention that it’s also easy? Start by prepping your asparagus. We’re going to blanch them (n. cooking food in boiling water then placing them immediately into ice water or cold water to stop the cooking process). Remove the tips by lightly bending them at the end of the stalk. 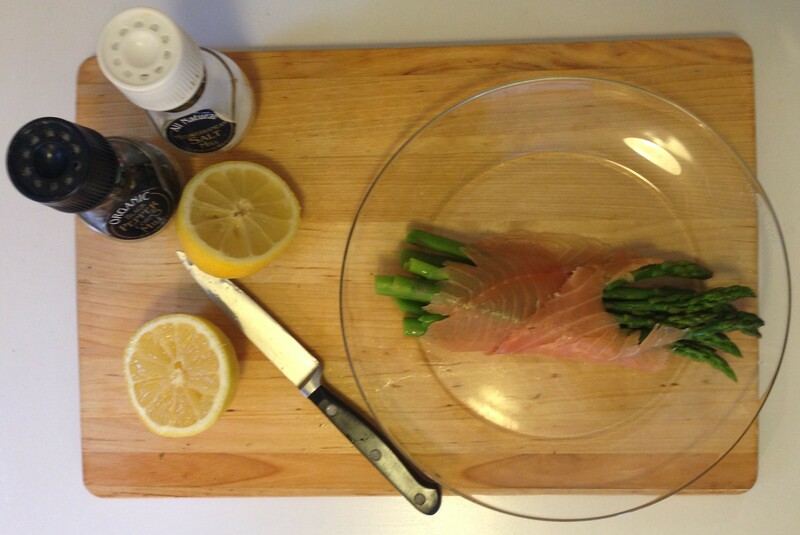 Asparagus have a natural breaking point so there’s no need to cut them straight across as most people do. They’ll break on their own. 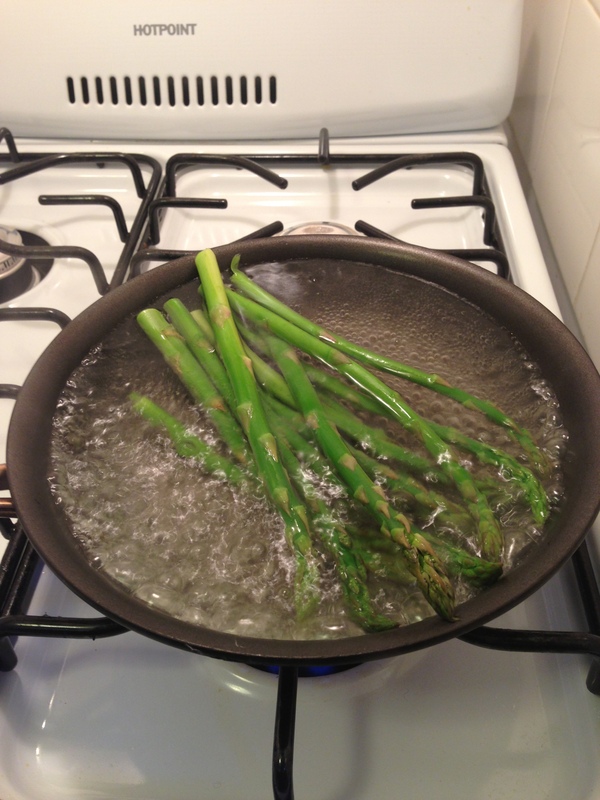 Remove the asparagus from the boiling water after about 3-4 minutes or until the asparagus is tender. 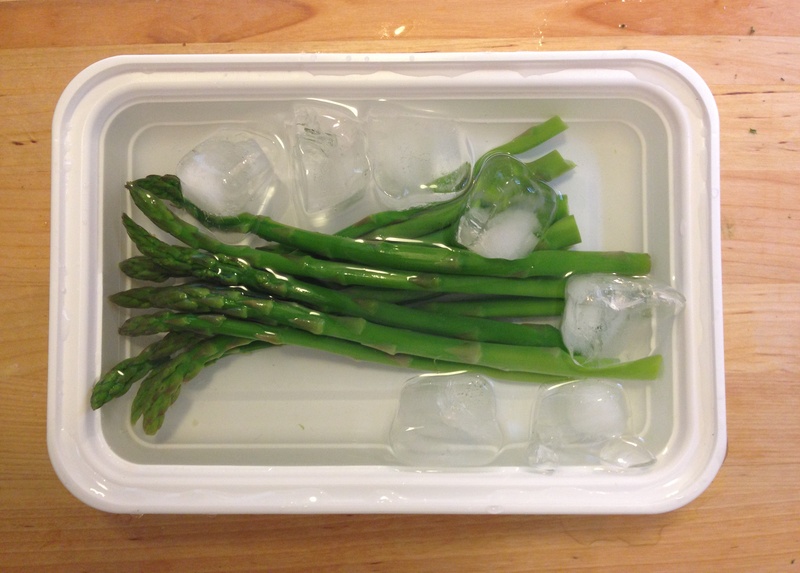 Place the asparagus in an ice bath. 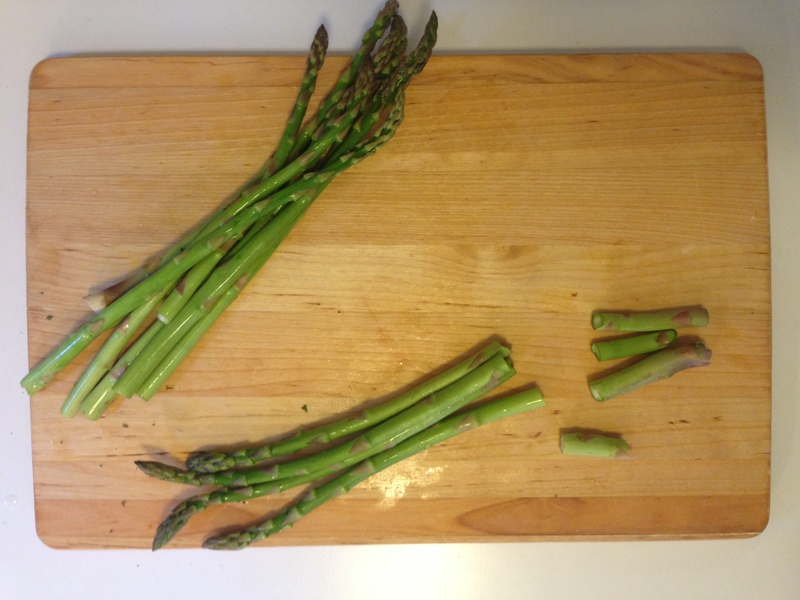 Blanching helps vegetables like asparagus keep their gorgeous green color. I just love it. 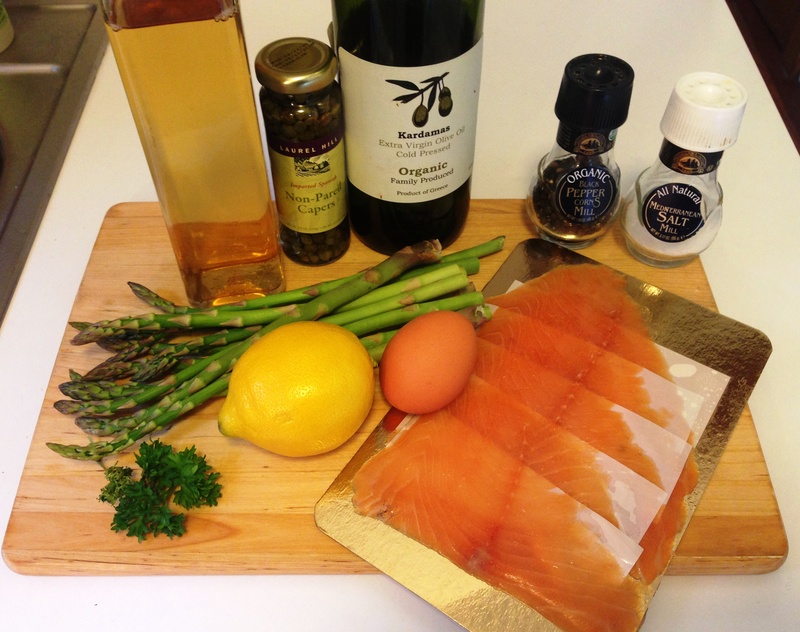 Take about two pieces of smoked salmon and wrap them around your asparagus so it forms a little bundle. Drizzle everything with lemon. 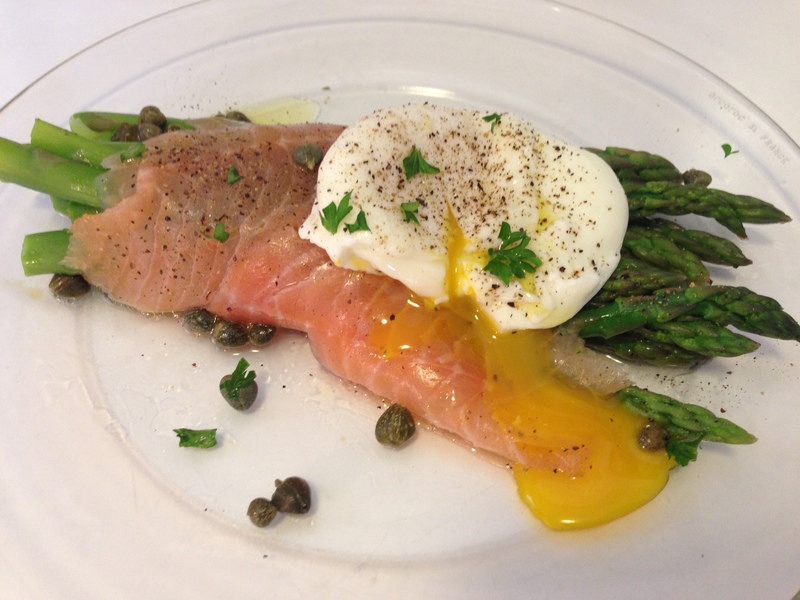 Now gently place a Poached Egg on top of the asparagus. Season with salt and pepper. 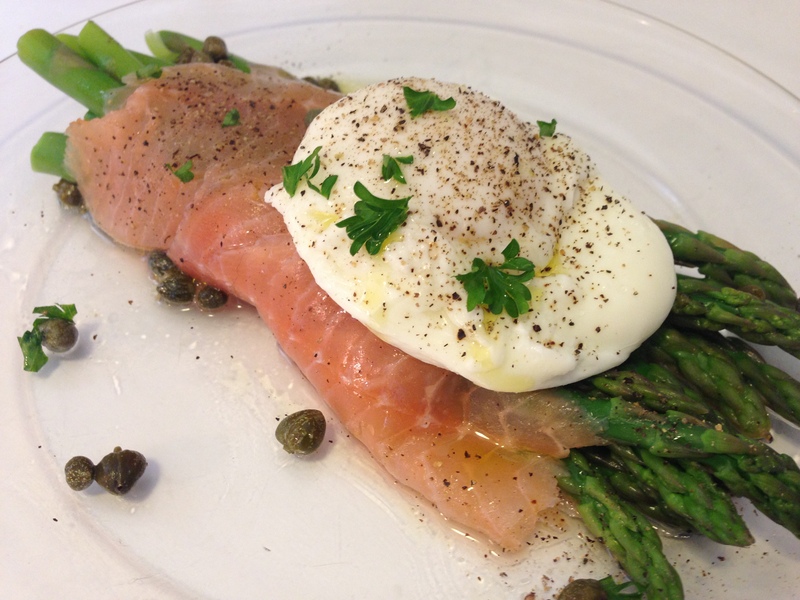 Sprinkle capers over the dish. Finally, drizzle a teaspoon or two of olive oil over everything. You can sprinkle some fresh parsley if you’d like for garnish. Fieldhouse Fun Fact: One of my favorite smoked salmon is (was) the one at Hillstone (formerly Houston’s) in Boston’s Faneuil Hall. The kitchen’s smoker broke or started a fire and that ended the smoked salmon. If you find it on a Hillstone menu, let me know!